Electromobile technology - designated not without reason as a lead market by the German government - will revolutionise the world of individual mobility during the next few years and decades. Current examples like RWTH Aachen University's StreetScooter project, for which WITTENSTEIN will develop the drive train, clearly indicate the future path - and illustrate why efficient drive technologies will play such an immensely important role. Intelligent drive systems, in which the electronics, motor and gearhead are optimally matched and which combine compliance with the strictest possible operating, safety and reliability requirements with nearperfect efficiencies, have for many years been one of the WITTENSTEIN Group's outstanding strengths. Numerous drive solutions evolved for space travel, Formula One racing, applications on the sea bed or implants in the human body are convincing evidence. They all share the same enormous power density and dynamics, low weight, compact design and maximum reliability and durability - precisely the attributes required of tomorrow's mobility concepts. WITTENSTEIN's debut at the "MobiliTec" flagship exhibition in the framework of the Hanover Fair 2010 as a highend partner specialised in the development and manufacture of highperformance electromechanical motors for use in electric and hybrid mobility solutions is the logical outcome. Its vast engineering knowhow and its experience with optimally interacting electrical and mechanical components will make a crucial contribution to the materialisation of marketready mobility solutions. Electromobility is much more than "simply" operating a specific means of locomotion or transport with electricity from a battery or a power socket. It is easy to understand why the "e" in "eMobility" - a buzzword enjoying unbroken popularity - is used to mean not just electric but also ecological, economical and efficient. The obvious conclusion: all electromobile transport means in tomorrow's world will need to be designed with intelligent drive systems that are "e" in every sense of the letter. Longterm state funding schemes with a wide reach, new market opportunities not only for manufacturers of vehicles and alternative mobility concepts but also for their suppliers, the active development of new spheres of activity by utility companies - electromobility is certainly much more than a passing fad or clever hype. On the contrary, it is a lasting trend that will ultimately turn traditional mobility form, for example based on combustion engines, into bridging technologies. A whole series of experts are therefore agreed that electromobility will emerge as a key market with high growth potential - especially since issues like the reduction of greenhouse gases (particularly in urban environments), a steadily increasing demand for individual mobility or the realisation that fossil fuels are a finite resource are lending vital momentum to the search for alternative mobility concepts. The German government has promised to inject several billion euros into eMobility research and development projects over the next few years. Amongst other things, it hopes to get at least a million hybrid or electric driven vehicles onto the nation's roads by the year 2020. Electromobility is not only a hot topic in the automotive sector, however - a sizeable future demand is also predicted for alternative and efficient drive technologies for two wheelers, autonomous mobile excavators, electric tractors, industrial trucks and service robots. New, emissionfree and highly efficient drive solutions are a must if innovative mobility concepts for vehicles and mobile machines are to achieve the big breakthrough. The essential characteristics include high power density, dynamics and energy efficiency, to maximise the range that can be driven on one charge. Tomorrow's eMobile drive technology will also have to be modular and scalable if electromobility is to become affordable and hence marketable in sufficient quantities. Manufacturers will be compelled to keep a constant watch on the costs of development and production. 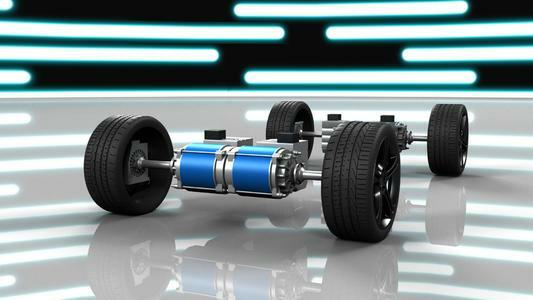 To realise the stipulated efficiency, modular building block systems for electric drives must allow different components for different vehicles or means of transport to be constructed from identical parts while simultaneously facilitating completely new drive architectures. The bigger the batches in which each drive module - motor, gearhead and electronics - can be manufactured, the lower the unit costs and therefore the cheaper the price of the electric drive. Only if optimally efficient eMobile drives can be developed and produced costeffectively will electromobility succeed in becoming competitive - and consequently widespread - from the point of view of the purchase price for a passenger car, for instance, or the running costs for the user. The future electrification of transport calls for intelligent drive systems, in which the electronics, motor and gearhead are optimally matched and which comply with the strictest possible operating, safety and reliability requirements. At the same time, the costs for development and production must be kept within reasonable limits. 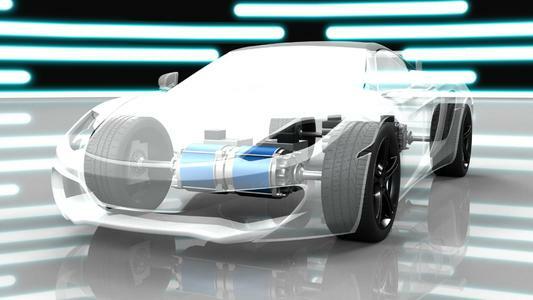 WITTENSTEIN wants to be positioned as technology leader in the crucial electromobility market as a manufacturer of highend mechatronic drive solutions for highly dynamic and emissionfree vehicle mobility - especially where top performance is essential. 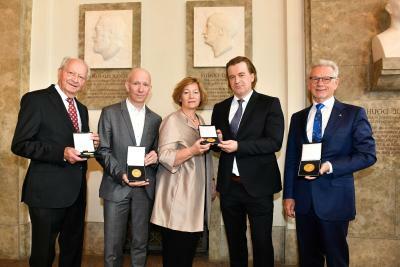 The Group's acknowledged technological expertise when it comes to intelligent servo systems and mechatronic drives will form the basis for achieving this aim, and WITTENSTEIN has already made a vital contribution to several research concepts. 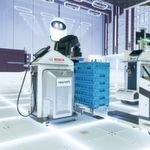 The substantial interest in WITTENSTEIN's expertise is testified to by the fact that, for some time now, the company has been collaborating with a major automotive manufacturer on the development of an electric drive system. An exciting development community - the StreetScooter project - was recently launched with RWTH Aachen University. Here, too, WITTENSTEIN's inhouse R&D and manufacturing knowhow is in great demand, because the modular architecture envisaged for the StreetScooter's drive train is one of the key preconditions for ensuring optimised development and production processes. Yet another example of WITTENSTEIN's expertise in the area of eMobile drive technology will be unveiled to a general audience at the joint VDMA stand of the E-MOTIVE Initiative within the Research Association for Power Transmission Engineering (FVA) (Hall 27, Stand D 60/16). This "trade fair model" and its ingenious engineering features will underline the direction in which WITTENSTEIN electromobility is heading: the motor, gearhead and electronics are optimally matched. The complete drive, which integrates several highperformance materials, is extremely robust; it weighs in at just 52 kg and impresses with almost one hundred percent efficiencies. With a power/weight ratio of 2.0 kW/kg and a maximum torque of 920 Nm - and emissionfree acceleration from 0 to 200 km/h in around six seconds - the exhibit comes close to Formula One standard. These various research examples demonstrate how WITTENSTEIN's expertise in the field - built up over several decades dedicated particularly to the achievement of highly efficient interaction between controllable electrical and mechanical components - can also generate drive solutions for highly dynamic and emissionfree mobility in tomorrow's world. Not only the automotive sector but all forms of electromobility will profit from this knowhow. Enormous power density and dynamics, low weight, a compact design and maximum reliability and durability - WITTENSTEIN's highend drive solutions meet all these expectations - both in current research concepts and in future means of eMobile transport. With around 1400 employees worldwide and sales of €171 million in 2008/2009, WITTENSTEIN AG enjoys an impeccable reputation for innovation, precision and excellence in the field of mechatronic drive technology - not just in Germany but internationally. 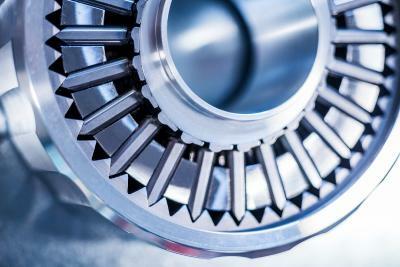 The Group comprises seven pacesetting Business Units with separate subsidiaries: for servo gearheads, servo drive systems, medical technology, miniature servo units, innovative gearing technology, rotary and linear actuator systems as well as electronic and software components for drive technologies. Through its 60 or so subsidiaries and agents in approximately 40 countries, WITTENSTEIN is additionally represented in all the world's major technology and sales markets.